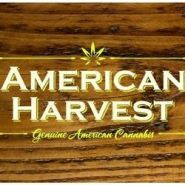 American Harvest is your local state approved Cannabis Retailer that caters to both adult-use 21+ and medical patients. Located minutes outside of Leavenworth and conveniently located right off Blewett Highway (Hwy 97) and Hwy 2. Get your quality cannabis products at affordable prices and make your appointment online to meet with a State Certified Cannabis Consultant, available at American Harvest! Visit our website: AmericanHarvestCannabis(dot)com to subscribe to weekly newsletters, information about how to acquire your medical card, location and also links to our other sites and social media outlets! April 18th - Green Revolution joins us from 3-6pm! April 19th - Evergreen herbal joins us from 3-6pm! April 20th - CPC joins us from 3-6pm! The date you already guessed, 4/20! We will be showcasing a live demo from local glass blower BMR Glass! Tacos Chavas Taco Truck on site! What Deal is today - Thursday! Sunday - Sunday Sweets 10% off all Edibles! Monday - Mixed Green Mondays 10% off all Pre-Rolls! Tuesday - Topical Tuesday, 15% off all Topical and Spa Products! Wednesday - Wax Wednesday, 10% off all Concentrates! Thursday - Thirstay Thursday, 15% off all Drinks! Friday - Friends and Family Friday, 10% off ANY 1 item for a friend or family member! Saturday - Showcase Saturday, 20% off Dynamic Harvest!